We see teaching as a form of socially engaged art and design practice, and will enable you to become a highly-skilled graduate practitioner in today's forward-looking education profession. We believe that Art and Design is a crucial element in the education of all pupils, and will work with you to enable you to become the inspirational teacher required by today’s young people. Our course provides you with the necessary knowledge and understanding for you to transfer your current creative skills to the classroom. It's an innovative, practice-based programme designed to fully support you to become a confident, dynamic and creative teacher committed to making Art and Design accessible for all. Curriculum workshops are a key element of your course. These are delivered in our specialist facilities by dedicated, full-time Art and Design lecturers and teachers, allowing you to experience a range of practical work in key specialisms such as digital media, 3D construction, printmaking, drawing, ceramics, mixed media, and in working with education departments in leading regional galleries which have included IKON, New Art Gallery Walsall, BMAG and Eastside Projects. Assignments and school-centred activities are structured around the development of your School Experience Progress Journal (SEPJ). The SEPJ demonstrates your progress against the nationally agreed competences (the Teachers’ Standards), which all teachers must meet throughout their career. A system of continuous review and assessment of progress in the SEPJ will support your growing ability to take responsibility for your own development. Gain Master's level credits gained as part of this course that you can then use towards a full Master's degree, such as our Master’s in Teaching and Learning or Educational Leadership. You must have a good degree (minimum 2:2 but 2:1 or 1st preferred) from a UK higher education institution or equivalent in Art and Design or an art-related subject. You must also have a GCSE grade C or above (or equivalent) in both English language and mathematics prior to application. There is an expectation that you will have had some general experience of working with secondary age students in a school setting. In preparation for the selection interview you are required to engage in a teaching episode, observed by an experienced qualified teacher. It will support your application to undertake this teaching episode prior to application and in advance of your interview. At interview you will also need to present a portfolio of personal work which should include a selection of work completed before, during and after your degree. The selection interview will assess your subject knowledge and personal qualities such as the potential to relate well to secondary age students, enthusiasm, sensitivity, communication skills and robustness and resilience for teaching. You will also take a written test to assess your standard of English. In addition applicants must meet The National College for Teaching and Leadership requirements for Initial Teacher Training, which means being medically fit and successfully completing an enhanced disclosure via the Disclosure and Barring Service (DBS). Our MA Education framework and Master's in Teaching and Learning (MTL) programmes are designed to serve the continuing professional development (CPD) needs of teachers. Birmingham City University trained teachers with PGCE credits at level 7 benefit from advanced standing on these programmes. 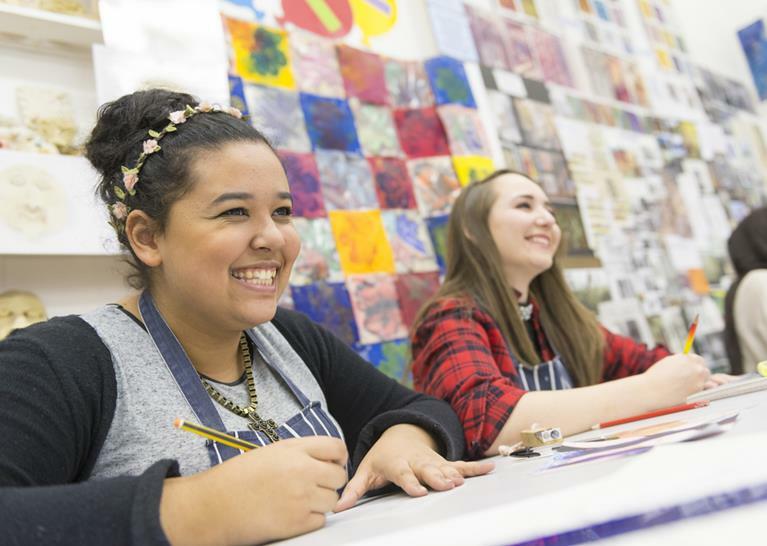 Visit the PGCE Secondary Education Art and Design page on the Birmingham City University website for more details!